Snowden: Herald of New Age or a Pawn In Information Warfare? Much to the chagrin of American intelligence, Edward Snowden melted away from Hong Kong hotel to flow into the – ‘no extradition’ – transit zone of a Moscow airport. Looking at the US government, pleading in front of President Putin for Snowden’s extradition – one is reminded of Indian government’s numerous requests to Washington to extradite, David Coleman Headley, the 26/11 Mumbai attack mastermind. If the US has the temerity not to extradite a proven terrorist like Headley, then it certainly must feel ashamed to ask for return of Snowden – a noble soul – a global hero. The US crescendo of protests against Russia and China is a typical case of a “pot calling the kettle black”. The US is forgetting, CIA’s most famous public relations coup of the Cold War. In April 1967, Joseph Stalin’s only daughter, Svetlana (Allilueva – OR) was picked up from India and transported to New York’s John F. Kennedy International Airport only to denounce her nation and father as a “moral and spiritual monster.” When the Soviets asked America to stop using Svetlana as a pawn in the ideological war, the US refused to oblige. History demands, Putin to stand his ground and save Snowden – whose actions have made the world aware of the American treachery in the cyberspace. It has proved that the US is a hacker of the world that concocts stories about Chinese cyber-thefts, only to hide its own misdemeanors. Photo taken on June 6, 2013 in Watford, England (AP). 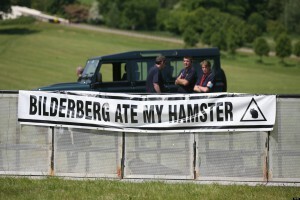 Snowden surfaced on the pages of the Guardian on 5th June – a day prior to the arrival of, a hundred-and- fifty odd, ferocious bankers and obnoxious billionaires, for the annual conclave of the Bilderberg Group near London. The group is virtually the politburo of the invisible “Western capitalist party”. Its main aim is to devise strategies for the longevity of empire through currency wars and military conflicts. At the 2013 meet, one of the agenda points for discussion was: “How big data is changing almost everything”. With communism almost defunct, the Western bankers and oligarchs hardly face any threat either from China or from Russia. However, their biggest threat emanates from the smart phones that are now capable of pronouncing the death of fiat money and making the banks redundant as custodian of money – mediator for financial transaction between two individuals. Much more than Syria or Iran, the global financial oligarchs are bothered about losing their monopoly over money to the companies ruling the digital world. The crucial question is: who will control the digital space and therefore the creation and movement of money? Snowden’s revelations have highlighted the misuse of the digital data by the nexus between the empire and big-internet and social media companies. This is a cause that the bankers intend to espouse to protect their long term interests. 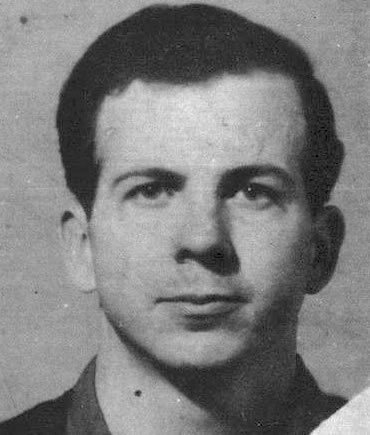 Lee Harvey Oswald in Minsk, 1960. Snowden’s actions are brave and praiseworthy. However, there is a need to be circumspect. One hopes that Snowden is not the 21st century version of Lee Harvey Oswald. Oswald was a former US navy marine who defected to the Soviet Union in October 1959. He asked for Soviet citizenship that was denied to him. The marine however, manipulated to overstay and enjoy Soviet. He even married a young Soviet girl and also became a father prior to returning to the United States in June 1962. Back in his own country, Oswald was alleged to be involved in the assassination of President John F. Kennedy. Before he could be tried and sentenced, Oswald was killed by a Dallas night club operator. Snowden’s life is precious, it cannot be allowed to be sacrificed either at the altar of banker’s greed or the American empires needs. The whistleblower’s information should form the basis for rebooting the world making the mobile technology a tool of counter-culture that challenges the dominance of the rest by the West. The views expressed are his own and do not necessarily coincide with ones of ORIENTAL REVIEW editorial. The next global war will be a currency was – a war between the US$ against all other currencies. No matter how hard the banking oligarchy controlled by an elite group tries to save the $, it will be in vain. or powerless. No, the Obama administration is afraid of you. It is afraid of an informed, angry public demanding the constitutional government it was promised — and it should be.